A CHICK CALLED WANDA is the thesis project of writer & director Arielle Apfel for The London Film School. 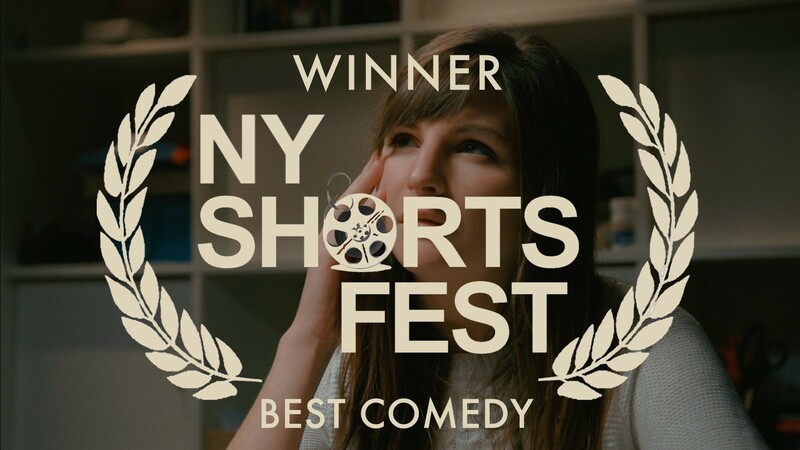 Born and raised in Brooklyn NY, Apfel wanted to capture the changing landscape of her hometown and its people through the framework of observational comedy. The short film uses a combination of found stories, documentary footage and live action to talk about change on a personal level. "My film is a bit of a hodge podge of storytelling techniques. It was inspired by a real NBC article titled; Backyard chickens dumped at shelters when hipsters can’t cope, critics say. The film also features real shots of New Yorkers doing New York things; people eating ice cream, checking out yoga signs, and hiking up their pants. And lastly one of my favorite aspects of the film is the chicken POV and VFX chicken shots. I really have to thank Ingvar Gudmundsson, our intrepid DOP, for his talent in recreating a chicken’s point of view, walk and all and Aephie Huimi Chen, the production designer and costume designer for the color palate, look and feel of the film." Moving forwards, Apfel is thrilled to again be working with Johnna Scrabis, the lead actresss in A CHICK CALLED WANDA, who is also a writer, performer and teacher at UCB. They have written their first feature comedy, a mockumentary called A TINY PERFECT WORLD. Follow A CHICK CALLED WANDA on Facebook and Twitter for more updates on its progress on the festival circuit.